Trade secrets, or know-how, frequently in the news, are simultaneously among intellectual property’s most valuable and misunderstood rights. The briefing is being hosted by the Center for Intellectual Property Understanding (CIPU) in conjunction with the Global Innovation Policy Center (GIPC). 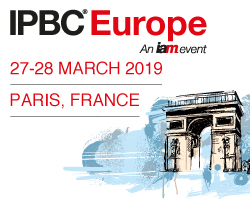 The event will clarify (1) what trade secrets are, (2) why they are more important now, (3) how they are used and (4) their impact on innovation, competition and trade. 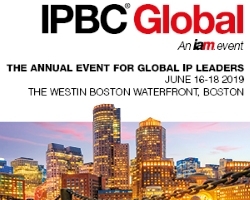 “Trade secrets, or know-how, frequently comprise the most valuable part of a businesses’ IP portfolio,” says Marshall Phelps, former Vice President of IP Business and Strategy at Microsoft and IBM, and a member CIPU’s board of directors. The Defend Trade Secrets Act of 2016 (DTSA) brought trade secret misappropriation under federal jurisdiction. For the briefing agenda, go here. To request an invitation, write registration@understandingip.org. Registration is free, but space is limited. China may not yet be on an equal footing with the leading industrialized nations in terms invention quality and brand recognition, but according to a recent study by the World Intellectual Property Organization, it is feverishly trying to show it is. 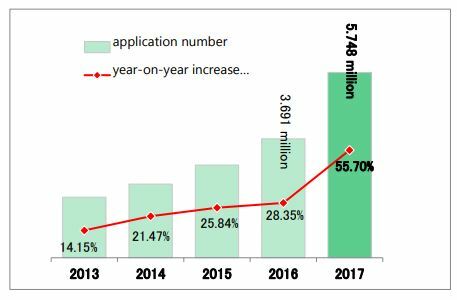 In 2017 China filed more than twice the number of U.S. patent applications globally; more than ten times the number of trademarks; and about 14 times the number of design patents. 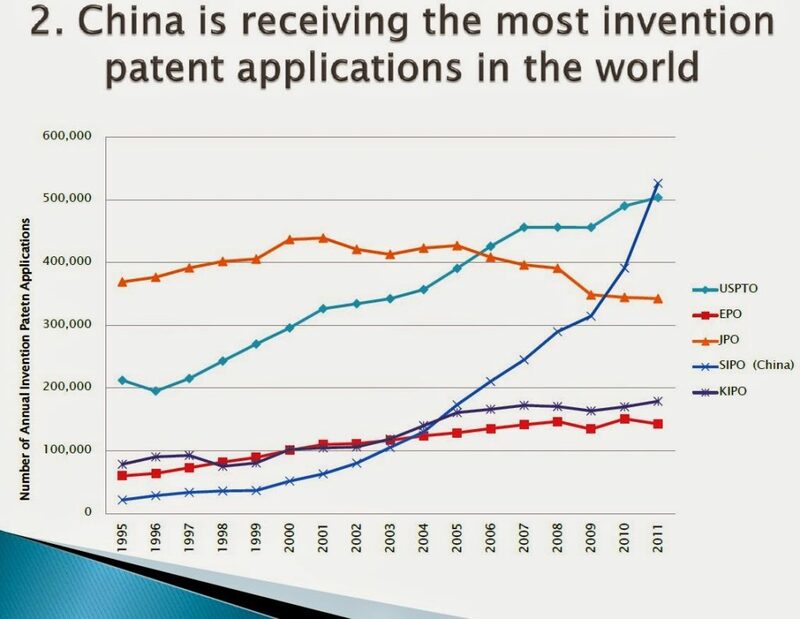 China was responsible for 43.5% of all patent applications and about 60% of trademarks filed worldwide. It is responsible for 90% of the growth in trademark filings. It also filed about 70% of the industrial design patents. IP rights have become something of a numbers game in China, encouraged by the government, which is eager to compete in technology and commerce and willing to offer attractive incentives. 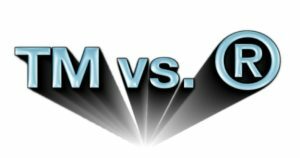 IP quantity can only take businesses so far, and there are many weak or questionable patents and trademarks held by Chinese entities, including universities, that never should have been issued. However, it is clear that China no longer wants to be considered a “copycat” nation and is taking what it believes are the right steps to assure that. It means to catch up with global leaders and quickly. Chinese companies and universities are likely to have at least some quality patents and marks and, unlike Japanese IP holders which were high active U.S. filers starting in the 1980s, are more likely to enforce them. According to the WIPO report, China recorded the highest application volume for both patents and trademarks inside the country, as well as among other nations, and seeks to protect and promote their work in one of the world’s fastest-growing major economies. 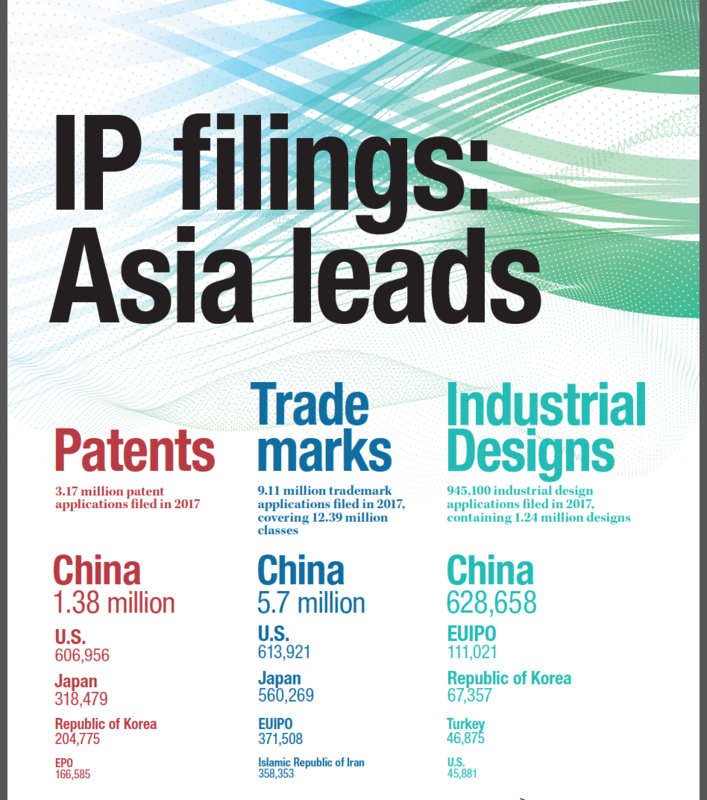 Asia has strengthened its position as the region with the greatest activity in patent filings. Offices located in Asia was responsible for 65.1% of all applications filed worldwide in 2017 – a considerable increase from 49.7% in 2007 – primarily driven by growth in China. While China claims more patents than any other nation, Bloomberg News says that “most are worthless.” The lapse rate is extremely high, with more than 50% of the five-year old utility patents abandoned and 91% of design patents. Subsidies and other incentives are geared toward making patent filings, rather than making sure those claims are useful. So the volume doesn’t translate into quality, with the country still dependent on others for innovative ideas, such as modern smartphones. Bloomberg’s analysis may not be entirely fair. IBM, for example, consistently the top annual U.S. patent recipient, permits a huge number to lapse. Many of those that remain are quite valuable. Some patent strategists in tech believe that it is effective to patent broadly to prevent some inventions from becoming proprietary and then pare back as sectors and products evolve. A handful of great patents can be more valuable than thousands of mediocre ones, as the pharmaceutical companies have proven. It takes a lot of work – and some luck – to identify them. China is still learning what IP is and how to use it. Japanese companies patented very aggressively in the U.S. in the 1980s and 1990s when they were being sued by American tech companies, sometimes with the threat of injunction. Many of the patents were said to be of questionable quality but they were able to generate more IP respect for Japanese companies and made them somewhat less vulnerable to U.S. enforcement. China reported a 15% growth in filings abroad, which is far above that of Japan (+2.1%) and the U.S. (+2%). Both Germany (-0.6%) and the Republic of Korea (-4.1%) had fewer filings abroad in 2017 than in 2016. 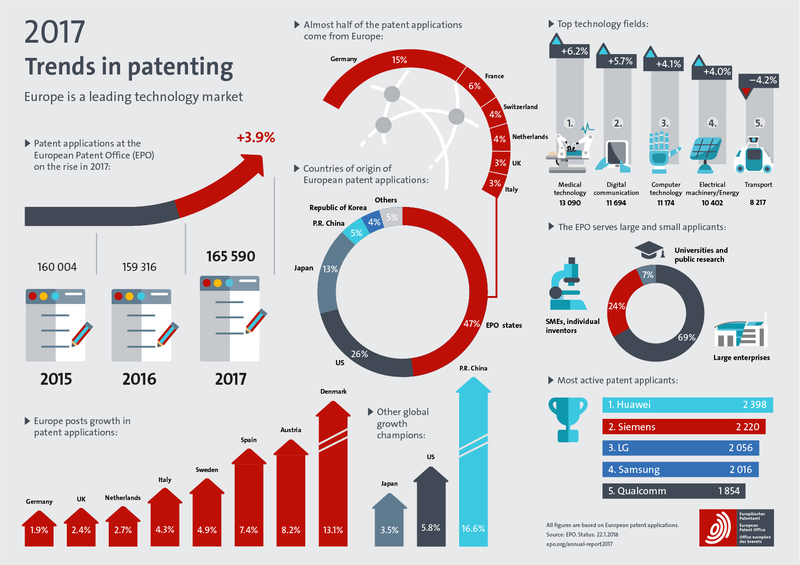 Total patents in force worldwide grew by 5.7% to reach 13.7 million in 2017. Around 2.98 million patents were in force in the U.S., while China (2.09 million) and Japan (2.01 million) each had around 2 million. 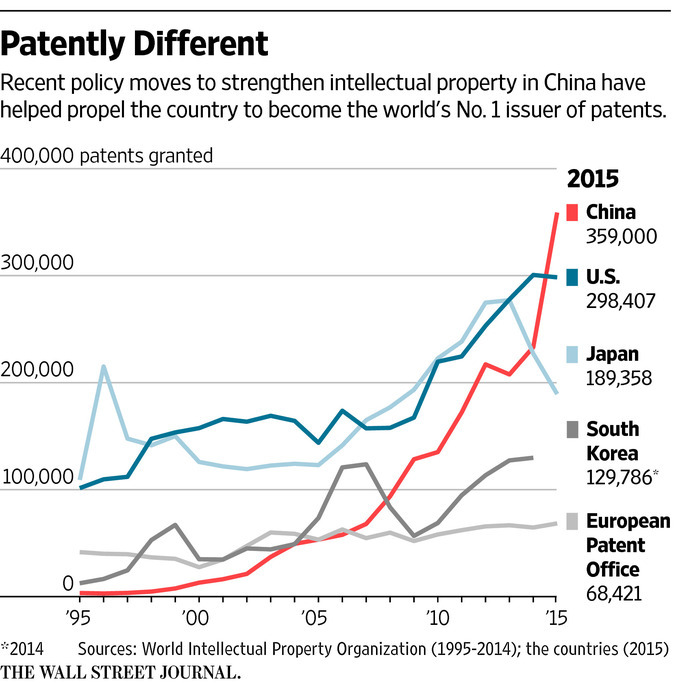 No data was provided about the percentage of foreign patent applications in China. The IP office of China had the highest volume of trademark filing activity with a class count of around 5.7 million, followed by the U.S. (613,921), Japan (560,269), the European Union Intellectual Property Office (EUIPO; 371,508) and the Islamic Republic of Iran (358,353). The top 10 patent applicants worldwide, based on total number of patent families from 2013 to 2015 were Canon (Japan); Samsung Electronics (South Korea); State Grid Corporation of China; Mitsubishi Electric (Japan); International Business Machines (US); Toyota Jidosha Kabushiki Kaisha (Japan); Huawai Technologies (China); Toshiba (Japan); LG Electronics (South Korea); and Robert Bosch (Germany). The World Intellectual Property Organization (WIPO) is the global forum for intellectual property policy, services, information and cooperation. A specialized agency of the United Nations, WIPO assists its 191 member states in developing a balanced international IP legal framework to meet society’s evolving needs. For the full WIPO report, World Intellectual Property Indicators 2018, go here. For the summary, interactive charts and key facts and figures, go here. A report released in late November the Office of the United States Trade Representative (USTR) states that China appears to be stepping up its attacks on U.S. intellectual property. Zhong was referring to China having detained the third Canadian citizen in apparent retaliation for the arrest of Meng Wangzhou, a top executive at Huawei, the world’s leading maker of telecom networking equipment. Since, CFO Wangzho’s arrest, Canadian officials have reported that a total of 13 people have been arrested in China. Eight have been released. It has been long speculated that Huawei’s products can be used for spying by the Chinese government. The USTR report, released on November 20th, is called UPDATE CONCERNING CHINA’S ACTS, POLICIES AND PRACTICES RELATED TO TECHNOLOGY TRANSFER, INTELLECTUAL PROPERTY, AND INNOVATION. “In the USTR report the U.S. accused China of continuing a state-backed campaign of cyber-attacks on American companies that were both intensifying and growing in sophistication,” Bloomberg News reported. In response to questions about the report, a spokesman for China’s foreign ministry on Wednesday said U.S. officials should read a white paper published by the government in September that claims China ‘firmly protects’ intellectual property rights. 1. China uses foreign ownership restrictions, such as joint venture (JV) requirements and foreign equity limitations, and various administrative review and licensing processes, to require or pressure technology transfer from U.S. companies. 2. China’s regime of technology regulations forces U.S. companies seeking to license technologies to Chinese entities to do so on non-market based terms that favor Chinese recipients. 3. China directs and unfairly facilitates the systematic investment in, and acquisition of, U.S. companies and assets by Chinese companies to obtain cutting-edge technologies and intellectual property and generate the transfer of technology to Chinese companies. The USTR report concluded: “China fundamentally has not altered its acts, policies, and practices related to technology transfer, intellectual property, and innovation, and indeed appears to have taken further unreasonable actions in recent months. Cash subsidies are among the incentives fueling a dramatic rise in U.S. trademark applications by Chinese filers. Thousands are said to be improperly filed and unlikely to be granted. In a national effort to increase IP ownership China is paying companies and individuals, some of them prisoners, as much as the equivalent of $800 to register a trademark in the U.S.
“The U.S officials say many China filings show a pattern of suspicious claims about the goods in question and the qualifications of the attorneys handling them,” reports the Wall Street Journal. China may be attempting to “disrupt” the U.S. system by flooding it with huge numbers of applications, making it potentially more difficult for business to obtain the marks they desire, especially those that may be associated with products that are sold in e-commerce. Mark Cohen, UC Berkeley law professor and former USPTO expert on China told IP CloseUp that he did not believe there is a concerted effort to undermine the U.S. trademark system. In addition to paying cash incentives, China has been known, says Professor Cohen, to award tenure, defer income taxes and reduce sentences of prisoners who obtain marks. Similar motivations have been known to exist in the patent space, where China is a leading U.S. filer and number two globally. If the pattern continues, it will soon be number one in both trademarks and patents. This rapid rise does not necessarily lead to high quality IP rights or to appropriate use of them. But IP does apparently amount to something of a numbers came to China. Cohen believes that many of the filers are small businesses selling online goods such as phone chargers and cheap clothing. Whether they are every in a position to enforce their marks, if infringed, remains to be seen. Representing a number of Chinese trademark filers are foreign attorneys who are not licensed to practice in the U.S., which violates application rules. These payments by the Chinese government amount to nearly $800 per US trademark registration that is obtained (a potential profit per trademark of $525 after filing fees), reports trademark attorney Josh Groben. The U.S. received more than 50,000 applications from China in the year through September 2017, accounting for 8.5% of all trademark filings. It is difficult to know how aggressively legitimate Chinese trademark holders will enforce their rights against infringers. In the U.S. complete failure to enforce will lead to a weakening of an owner’s marks, loss of distinctiveness over time and potential forfeiture of certain available remedies. 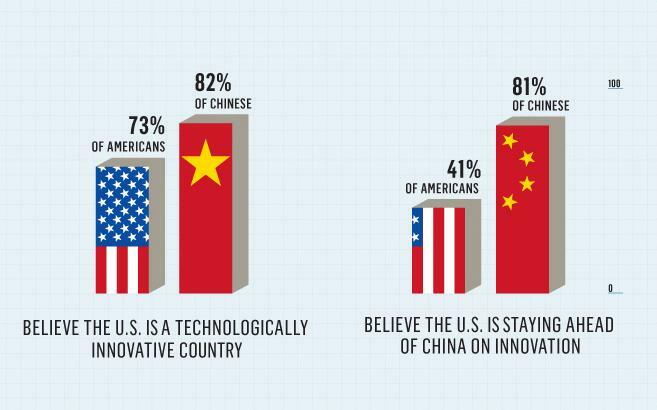 Can the U.S. compete with China without a focused innovation policy? More nations today have an innovation policy than do not – that is except for the U.S. The U.S. not only has no centralized innovation and intellectual property policy, it has no real strategy for making IP rights more meaningful and American businesses more competitive in the wake of initiatives from China. Some believe it is not the job of policymakers to tinker with free-markets or favor certain industries. 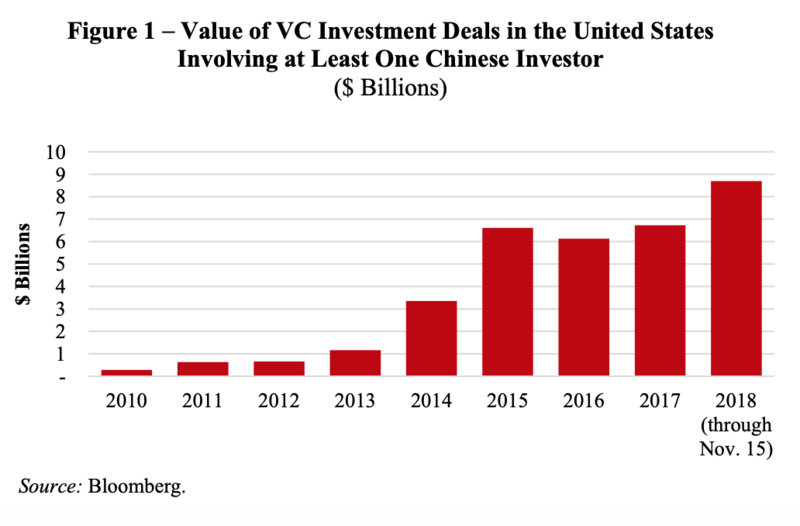 Well, that may have worked in the past, but with China committed to dominating global innovation – and with unlimited capital – the U.S. must reexamine its strategies. What it is not supposed to do is assume that it is business as usual. The United States has a tendency to repeat past mistakes, such as in the case of so-called “Japan, Inc.,” which devastated the auto and electronics industries with more advanced products. It is currently contending with China, which has approximately ten times the population of Japan and has quadrupled its investment in technology over the past decade. 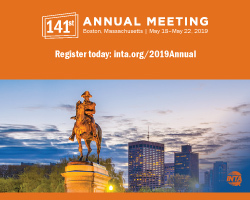 “US innovation policy: Time for a makeover,” a fresh take on dealing with competition in the Intangible Investor, can be found in the July IAM magazine, out this week, here. 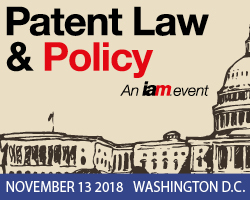 Innovation policy in the United States is mostly a series of suggested strategies and directives from several government agencies and industry organisations primarily designed to address foreign IP infringement (i.e., theft). It is often tied to science and economic policy, and is typically reactive – not proactive. Trump’s anger about China IP violations, justified or not, does not constitute an innovation policy. Innovation policy is not just about enforcement or supporting the science, technology, engineering and math (STEM) curriculum for the next generation of inventors. It is about understanding the current economic and political context and responding as a nation. 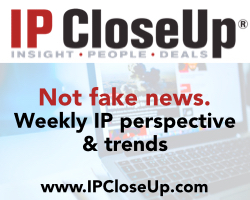 “The FAANGs, and others, who dominate the competition and monetize their customers’ information, often without permission, realize they are increasingly symbols of bad business behavior,” Bruce Berman wrote recently in IP Watchdog. “The heat they feel from regulators in Europe and the U.S. will continue to rise. For a linked quick-reading list about innovation and IP policy from the Center for IP Understanding, go to page 4. The European Patent Office (EPO) 2017 annual report, recently published, revealed several surprising patent filing trends, including the rapid growth of China . The People’s Republic of China filed 16.6% more applications last year than in 2016, three times more than the U.S., which filed 5.8% more. The five most active patent filing companies were Huawei (China), Siemens (Germany), LG (Korea), Samsung (Korea) and Qualcomm (U.S.). The U.S. comprised 26% of all European applications submitted in 2017; Japan 13%. German was the lead European filer with 15% of those coming from Europe and about 7% overall. After European patent filings dropped slightly in 2016 from 2015, they were up overall by 3.9% in 2017. Top fields were Medical Technology, up 6.2%, and Digital Communication, up 5.7%. Transport was down 4.2%. For the full 2017 EPO Annual Report, go here. While China is no fan of bitcoin mining – it has moved to close mining operations – it is actively pursuing block chain patents, and is touting its leadership over the U.S.
China is the leading country for blockchain patents with Alibaba and PBOC on top, claims TechNode, a Chinese IP publication that partners with TechCrunch. Blockchain is a shared digital ledger that facilitates transactions, but whose practical application has yet to be determined. A wide range of U.S. financial institutions and technology companies are interested in blockchain, as well financial technology startups, many of whom have high valuations. 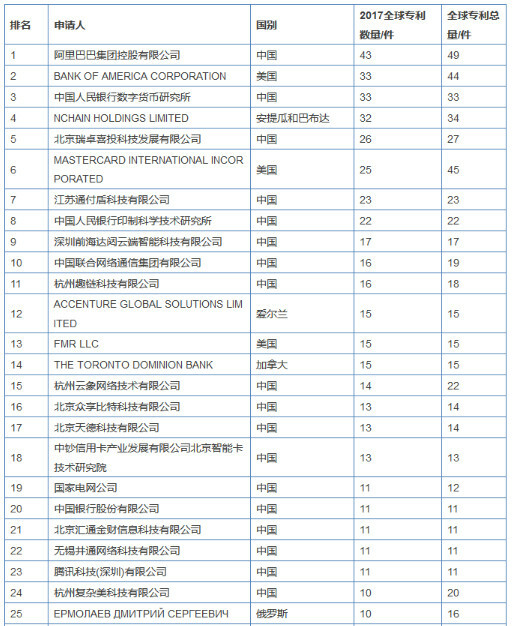 Out of the top 100 companies, reports TechNode citing Chinese data, 49 were Chinese, 23 from the US (see below for table of top 100 rankings). 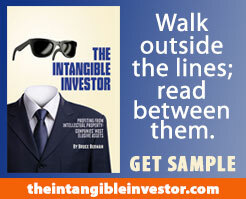 It is unclear if the leadership is in U.S. or China-issued patents, or both. “An increasing number of companies in China are seeking ways to patent blockchain-related inventions, an effort that is in line with the Chinese government’s agenda to push forward with FinTech applications,” reports CoinDesk. China Blockchain Growth Exceeds the U.S.
IPRdaily, a Chinese language “integrated services organization focusing on new media for intellectual property and is committed to building the most influential IP cooperation platform in the world,” follows blockchain developments. A report from IPRdaily – which is readily translated on Google Chrome browser – shows that blockchain financing growth in China far exceeds the United States, leading the world. The statistics show that as of December 17, 2017, the global total market capitalization of digital assets has reached 600 billion US dollars, compared with only 17.7 billion at the end of 2016. In less than a year, an increase of nearly 3300%. Many companies received more U.S. patents in 2017; IBM, the perennial leader, was number one for the 25th year. However, there were some notable declines in patent grants. Canon, Qualcomm and Google were down 10%, 9% and 13% respectively. It is difficult to determine if it is as a result of poor company performance or a shift toward higher quality. Toshiba 20%, Philips 15% and Brother Industries 24%. The grant results were provided by IFI Claims. They also were reported in Law 360. 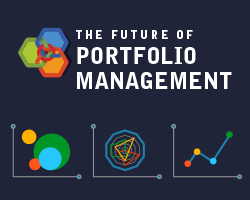 Facebook at number 50 was up 49%, but on a much lower base; Toyota was up 36%, an indication that the automobile companies may be positioning themselves in autonomous vehicles and batteries for electric cars. But being able to afford patents and obtaining them with a purpose is typically a positive among information technology companies. Only 22 of the top 50 U.S. patent recipients are U.S. companies, down from a decade or more ago. Fifteen are Japanese, five Korean and four Chinese. (One is from Taiwan.) European businesses accounted for four companies on the 2017 list – the same as the number as China without Taiwan, and one fewer than Korea. An IP Commission study finds that foreign sources, especially China, are responsible for the bulk U.S. theft. 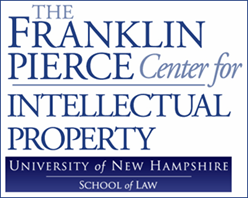 Counterfeit goods, pirated software, and theft of trade secrets together represent a “systematic threat” to the US economy of between $225 billion and $600 billion annually, according to the findings of a 2017 research report from the bi-partisan IP Commission, The Theft of American Intellectual Property: Reassessments of the Challenge and United States Policy. The massive theft of American IP—from companies and universities across the country, from U.S. labs to defense contractors, from banks to software companies—threatens the nation’s security, says the report. The research, and update of a 2013 report, is the work of the bi-partisan IP Commission and was published by the National Bureau of Asian Research (NBR). NBR conducts advanced independent research on strategic, political, economic and other issues affecting U.S. relations with Asia, including China and Russia. The Intangible Investor in June’s IAM features a full perspective on the report, “Foreign sources responsible for most IP theft.” Subscribers can find a copy here. Kudos to the IP Commission for establishing a beachhead in the global war to combat IP theft and cyber crime. Its pioneering research provides American and other lawmakers, businesses, investors and the public, with data about IP infringement that are cannot be ignored. However, the report falls short. Identifying and stopping infringement, including cyber-espionage, should not be restricted to sources outside of the U.S. The IP Commission’s research zeros in on foreign counterfeit, trade secret and copyright violations. It does not account for increasing domestic patent infringement and copyright abuses, which have profoundly affected the software, recording and other industries, and impacted U.S. jobs. To be fair, this IP Commission’s focus is foreign IP threats, and it is a daunting task to estimate the financial impact of domestic invention theft on U.S. businesses – not just what gets reported in the press about settlements and licenses. But speaking to a range of IP attorneys and holders, it becomes clear that much IP abuse comes from domestic IT businesses, Internet providers, streaming services, individuals and others that know they are unlikely to be caught infringing rights or will have to pay for a license. 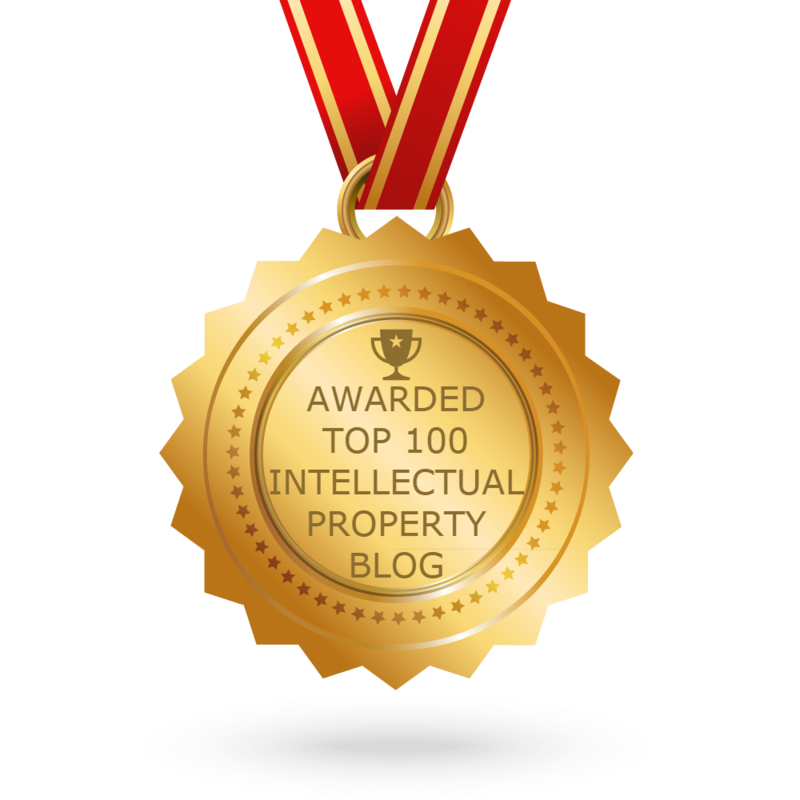 By the IP Commissions own admission, IP theft is less benign than it might appear. The theft of American IP is not just the ‘greatest transfer of wealth in human history,’ as General Keith Alexander put it; IP theft undercuts the primary competitive advantage of American business—the capacity for innovation. The IP Commission’s timely report is a challenge to IP holders, and lawmakers alike who are concerned about innovation and commerce. It is a call to examine the source, type, and level of domestic IP rights theft, including patents, on SMEs, inventors, and universities, and how they affect the economy now and are likely to in the future. The full 24-page update, The Theft of American Intellectual Property: Reassessments of the Challenge of the United States Policy, is well worth reading. Visit www.ipcommission.org. 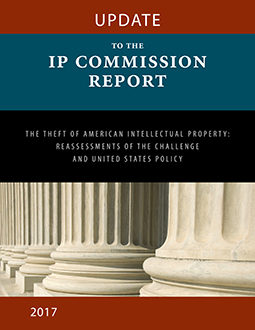 The original 2013 report, Report of the Commission on the Theft of American Intellectual Property, is also available and useful for comparison. In a few short years China’s patent system has gone from an IP rights wannabe to one of the most responsive and patent-friendly systems in the world. Leading U.S. IP experts say that underlying this rapid evolution is a desire for China to become a science and technology powerhouse, with the ability to create new and formidable industries that employ many of its 1.4 billion people. “China wants to be an innovation leader for multiple reasons,” Irv Rappaport, former Chief Patent Counsel at Apple and National Semiconductor, who served on the Uruguay Round of GATT, told IP CloseUp recently. “It is fascinating to see how the U.S. patent system is imploding, while the Chinese system is exploding with activity and purpose. 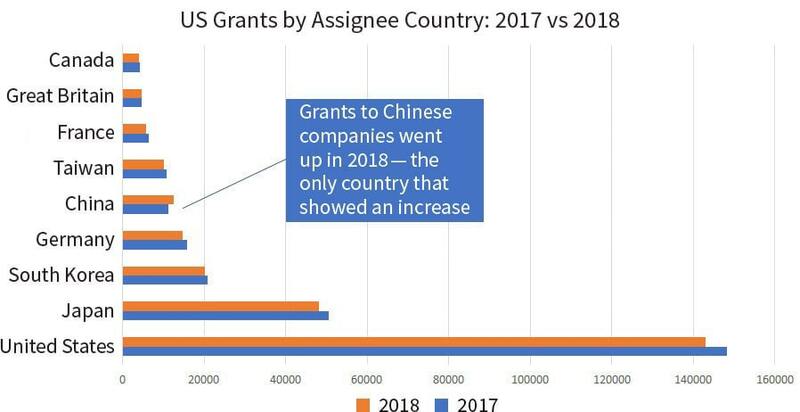 “For more than a decade the U.S. has been emasculating its patent system, while the Chinese have been studying it and adopting the benefits of a well-coordinated and fast-moving one. The U.S. has gone from being on the global cutting edge in IP in the 1990s, to becoming a patent backwater, because of a well-heeled, anti-patent faction among technology companies that want to stifle competition. Peter Holden, CEO of ipCreate and former managing director with London-based Collar Capital and a founding executive with IP Value, has worked extensively with Asian companies and patents. He has traveled to Korea, China and Japan more than 100 times over the past twenty years. “The Chinese have learned from the U.S. and are sincere about making their IP system the best — one that will encourage innovation and help their nation to become the economic leader. It is not merely a thought. It’s an idea that they are dedicated to. But China’s record on counterfeits is poor, with everything from luxury goods to pharmaceuticals sold domestically and exported globally. According the U.S. International Trade Commission, Chinese theft of U.S. IP in 2009 alone cost almost one million U.S. jobs and caused $48 billion in U.S. economic losses. For a prior IP CloseUp post summarizing the Robinson article, go here. China is just beginning to build its giant tech companies. They have succeed with Alibaba and Huawei, and acquired Lenovo from IBM, which is now a $45 billion (USD) business. Their big businesses currently have less to lose from strong patents and quick dispute resolution than those in the U.S. and Europe. 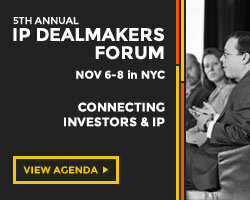 To create successful businesses and attract investment, incentives need to be provided, and strong patents and a reliable legal system for adjudicating disputes are great for encouraging that. Perhaps when China has as many big tech players as the U.S. it will start to think more defensively, but for now it is the perfect setting for encouraging new ideas with strong patents and courts that make it easy to obtain injunctions. Despite China’s success in facilitating stronger patents and more decisive courts, a huge question is just how prominent a role will patents play in new companies in a data-driven information age. A decade of weakening has taken its toll on the U.S. patent system and patent holders. It will not be quick to recover unless a concerted effort can be made to take IP rights seriously. 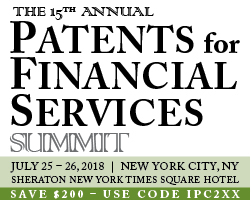 Allowing U.S. patent policy to be dictated by those with the greatest financial success and market share may be appealing to shareholders, but it is not necessarily what is needed for the nation to remain competitive in a global economy, and to generate new businesses and jobs. Hopefully, the wake-up call comes soon for the U.S. and it can retain the title of innovation leader it has held since the 19th Century but is slipping away. A few years ago a company whose patents were violated in China had little or no chance of defending its rights. Determined to move beyond its role as a low-cost provider of look-alike consumer products, and establish itself as an innovation leader, China has learned from the successes – and mistakes – of other intellectual property systems, especially the U.S. The nation of 1.4 billion inhabitants has rapidly emerged as what is currently among the fairest and most patent holder-friendly systems in the world. Chinese patent courts second only, perhaps, to Germany in quickly and fairly adjudicating disputes. A fascinating article in the current IAM magazine, “Defending a patent case in the brave new world of Chinese patent litigation,” details China’s rapid rise from low-cost copier to a patent power, and a nation that has caught the attention of major global technology powers who are often defendants. 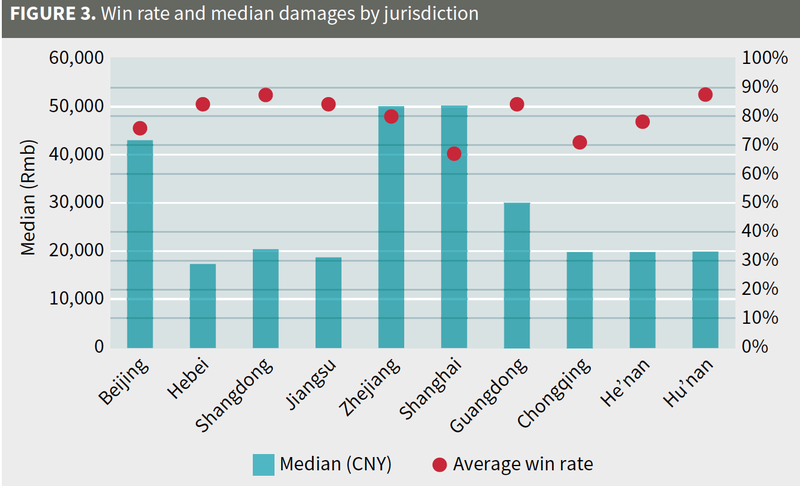 Damages awards are relatively small in China, with median awards currently around 35,000 Renminbi or about $5,000, but injunctions, the power to stop a likely infringing product from being sold, are now issued over 99% of the time to winning parties. 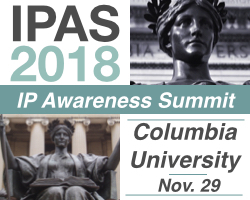 NPEs, what some U.S. companies refer to as patent “trolls,” are treated fairly as long as they their patents are of sufficient quality and are the companies are generally supportive of Chinese welfare. Patent litigation win rates, according to the article, average around 80%. 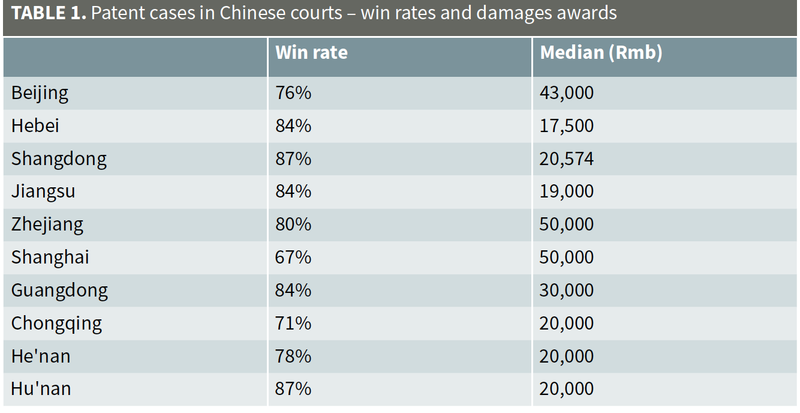 Startlingly, foreign plaintiffs fare better statistically than Chinese. The U.S. effectively ended the granting of patent injunctions in 2006 with EBay v. MercExchange. Now, only operating companies can obtain them in rare circumstances. This removes most of the leverage afforded patent holders. Granted, injunction abuses are a fact of life, and dubious patents have at times been used to enjoin products, costing companies time and money. But without the power to stop a product from being sold, patents have little meaning. “Largely as a result of the United States’ race to the bottom in terms of patent enforcement, Germany has emerged as a go-to patent jurisdiction, with virtually guaranteed injunctions, quick time to trial and no discovery resulting in a highly efficient system,” writes Beijing-based Erick Robinson, chief patent counsel, Asia-Pacific for Rouse, a global IP strategy firm. Unlike most countries which enjoin making, using and selling allegedly infringed products in-country, as well as imports, Chinese law also bans infringing exports from leaving the country. So, for example, if the accused device is Apple’s iPhone, not only can sales of iPhones in China be enjoined, but also exports of the devices from China. This would enable a patent owner to achieve an effective worldwide ban, since iPhones are manufactured in China. With U.S. patent protection significantly diminished over the past decade, and China’s on the rise, the U.S. is on a slippery slope when it comes to stimulating R&D, innovation and investment. It is well on its way to becoming a second-rate patent system, and a slip in disruptive innovation, necessary for the creation of new industries, difficult to measure in real-time, has probably started. Certainly, companies and their stakeholders are thinking twice before pursuing or relying upon USPTO-issued patent protection. It remains to be seen if China, a continuing source of counterfeit goods that are shipped worldwide, is committed to providing its businesses, as well as those outside of the country, with a legal system that can meet the needs of all business holders, and permit fair and timely resolution of legitimate disputes. China is now the second largest filer in the U.S. and, while its companies have rarely resorted to filing suits in the U.S. against U.S. companies, there is little doubt that it will do so in the future. Technology giants include Alibaba, Xiaomi, Huawei and Lenovo. China is likely to be more aggressive enforcing its patents than U.S. frequent-filer Japan, which has been reluctant to engage in domestic or foreign patent disputes. (There are some signs that is changing.) Samsung, by far the largest holder of U.S. patents in the world, has shown a greater willingness use its patents for licensing and leverage. China may or may not be deliberately attempting to embarrass U.S. and eventually surpass its moribund IP system, but the impact is the same. Continued lack of awareness of what IP rights achieve and for whom, and lobbying, has significantly compromised the once-exemplary U.S. patent system. The Chinese are not too new to capitalism not to see this as an opportunity to compete. For the U.S.’ sake, let’s hope it’s not too late to make invention rights a priority again. 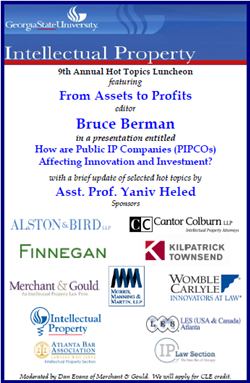 “The brave new world of Chinese patent litigation” can be accessed here or here.